Over the past 10 or so years, ghost hunting has gone from fringe counterculture to mainstream hobby. 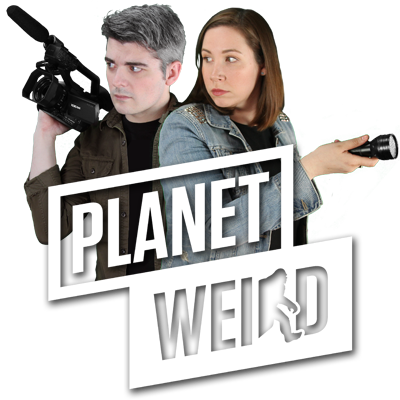 Somehow, paranormal turned “cool” and all the stylish people started doing it; some even managed to turn it into successful television careers. But through all the hype and popularity, the new high-tech gadgets like the Ovilus and full-spectrum camcorders, there haven’t been any major steps forward in understanding most unexplained phenomena from the viewpoint of self-proclaimed paranormal investigators. If anything, most superstitions and assumptions have only been reinforced and passed along as truths. What was thought to be bona fide paranormal activity a century ago is almost laughable today. Are we learning from those mistakes or creating a new era of silliness? As author Mark Twain once said, “Whenever you find yourself on the side of the majority, it’s time to pause and reflect.” So what’s missing? What’s wrong with paranormal investigation, research, and exploration? What needs to be changed? No two people seem to agree. It seems there are two camps – “staunch skeptics” and “firm believers” – caught in a constant battle over who is right and who is wrong. 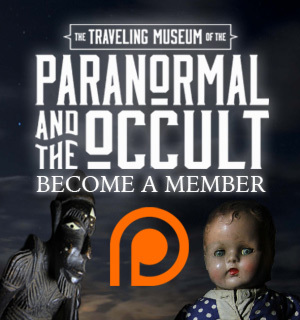 I believe it is important to find some middle ground if people truly want to get to the bottom of phenomena associated with ghosts/spirits, poltergeists, and haunted places. Valid points do exists sometimes on either side. At the same time, die-hard personal beliefs often hinder progress. So what is your average paranormal investigator to do? How can Joe Tech Specialist or Jane Sensitive take ghost hunting out of the ectoplasmic cloud of mystic pseudo-religion and into the realm of noble pursuit? Here are a few key rules of thumb to become a better investigator and restore some much-needed sanity to the search for weirdness in our wondrous world. Keep an open mind. And I mean that. Stop with the “but my orb is REAL ‘cause it’s not like those dust ones” garbage. Be willing to throw away your opinions if evidence proves otherwise. If you expect skeptics to be “open-minded” yet you refuse to be open to the possibility something might not be paranormal, you’re a hypocrite. Read more; watch less. As the number of paranormal television shows increased, so did the number of viewers who – after a few episodes – suddenly became ghost hunters themselves. Watching Project Runway doesn’t make you an instant fashion designer. If you’re a devoted fan of (insert paranormal program here), that’s what you are: a fan, not an overnight expert. Pick up a book written by someone far more knowledgeable than a celebrity. This isn’t some brand-new field of study; a ton of work has been done over the past two centuries worth checking out. Television rots the brain. Stop learning everything from it. Set religion aside. It might be hard with Demonology and angels being popular among ghost hunters, but in order to be scientific you can’t act like a fundamentalist at the same time. This might offend 99% of ghost hunters out there, but religions are belief without question; investigating paranormal claims calls for fact-based inquiry. It can be downright dangerous to fill minds with unsubstantiated claims without thorough psychological examinations and background checks. Telling a Catholic client that they need an exorcism isn’t helping someone, even if you believe there’s a demon in their house. You’re feeding them information they want to hear based on their (and, often, your own) personal beliefs. Believe whatever you want, but keep your beliefs out of actual investigating. It doesn’t belong there. Fraud-check all psychic claims. It’s hard to find a ghost hunting group without at least one “sensitive” or “intuitive psychic” person on board. I don’t care what you call yourself, but if you’re involved in paranormal investigation, you must be willing to have your own claims called into question (since they too are paranormal or supernatural, after all). 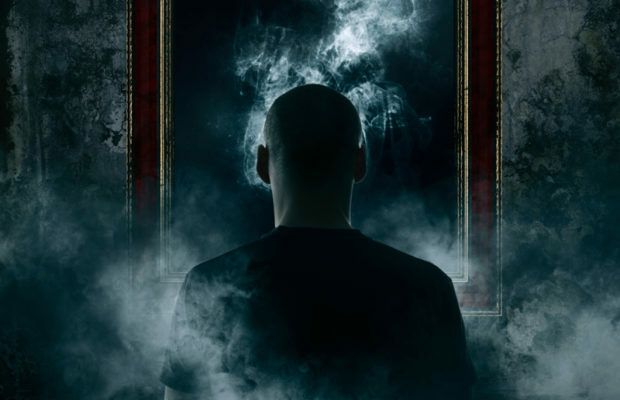 There is no such thing as a 100%-accurate psychic, but psychic claims have been studied for more than a century by scientists and parapsychologists. Have his or her claims tested or verified in lab conditions by an accredited parapsychologist or someone involved in scientific psi-related research. If that isn’t possible (or is met with too much protest), keep detailed notes on his/ her “hits” (correct assertions) and “misses” (incorrect statements) to determine his/her rate of accuracy above chance. Anything that cannot be verified by historical record or hard evidence is pure hearsay. If he or she wants to tell people when they’ll win the lottery or get hit by a bus, let him or her do so on his or her own separate time. “When in doubt, throw it out.” It can be tough letting go of that creepy garbled voice you recorded or that spooky-looking fog in a photograph of an abandoned building. This and other so-called “evidence” can be used to scare your friends on a Saturday night, but don’t call it scientific proof of life after death. If every single person who listens to your electronic voice phenomenon cannot agree without being told what it sounds like, it’s too inconclusive to draw an opinion. Unless every single alternative possibility can be ruled out for explaining your photographic anomaly, it’s just a nifty souvenir. Other people will scrutinize your evidence carefully; you must be willing to do the same. You don’t have to literally throw everything out, though. Turn the photos into a cool scrapbook or online photo album. Save video and audio for YouTube projects and strolls down memory lane. Just don’t classify these things as concrete evidence. Am I advocating the eradication of paranormal investigation, ghost hunting tourism, and television programs? Certainly not. I honestly believe that there are incidents which happen that have not fully been explained. To search for “things that go bump in the night” isn’t absurd, but if you wish to use terms like “serious investigator” and “scientific approach”, then you better well act like it. For far too long now, misidentification and misunderstood experiences have been pawned off as paranormal activity.Of course, if you just want to have fun with strange history, abandoned places, and haunted field trips, there is nothing wrong with that either, just do so responsibly. Next Story → Have the Kentucky Goblins Returned? Exclusive Photos! I loved this article completely. My favorite point was about setting religion aside. I’ve had discussions about this in the past with people. Even if they don’t want to believe it, religious beliefs can skew ones thought process to ask the wrong questions. Thanks, Mike! Most groups I’ve encountered want to cater to the religious beliefs of clients. I think it’s far better to avoid religion at all cost. You can make someone even more paranoid than they already are. If you really want to help someone, turning strange sounds into a spiritual battle isn’t exactly the solution. I’d take even a larger step back. You subtly suggest it but it’s a tough one: Change your focus. If you approach the case this way, then you minimize the nonsense. If you can’t come up with an explanation, the default should be “we don’t know”. But, we all know, the default has become “It’s PARANORMAL”. That gets us exactly nowhere in knowledge. Sadly, it may get you media attention. I don’t disagree at all. Technically, when approaching any report of unexplained phenomena of any kind, the first question is “what happened?” People tend to jump to “it’s a ghost!” no matter what… but the sad thing is, no one has ever answered “what is a ghost” yet. I will call something a “ghost” or “ghostly” many times, but not in the “disembodied soul” sense. I use it very broadly; to help people understand better what sort of thing I’m talking about, I use the term. Of course, that could mean I say “ghost” when I mean “activity of unknown origin”–it’s sort of my UFO blanket term for spooky stuff. Calling something a dead person is easier than admitting you don’t know what it is, so people do it all the time. It’s the people who can’t admit that they don’t know something we really need to watch out for. But paranormal research has needed a major overhaul for a long time now. If I can fit it into my schedule this year, there’s a book about that in the works… a real neutral objective look at the whole mess for a change. Excellent article, thank you very much. I have a scientific education (Bachelor’s degree in Chemistry) though I will never dare call myself a scientist. Ironically I would love to see a similar approach to skepticism. Often skeptics are as hard-driven as believers and don’t pause to think often their explanations are just as far-fetched and ridiculous as the believers’. Using a rational, true scientific approach (even common sense and the Internet suffice in most cases) they could come up with explanations resting on much more solid ground and sounding far less ridiculous to the ordinary person. This truly is a wonderful article, and something I have been debating for some time. However, do you find that a research group tends to splinter? With one side interested in serious research, while the other happy to sit in the dark all night holding vigils? Personally, I strive to find a balance. It is often hard being both spiritual/sensitive, and scientific/logical, but that balance comes naturally to me. When this equilibrium is achieved, many doors are opened. Thanks, Adam. I think most groups of any size tend to splinter, but the division is for any number of reasons. Usually, one splinter group is the serious research minded individuals; others can be the fun-loving ones, the “anything is proof” camp, the midnight insomniac coffee and ghost addicts, the “we’re psychics so we’re better than you and don’t need to back up anything we say because we know we’re right and way better than Sylvia Brown” people… Let’s face it; people love classifying themselves into subcategories and Stepford Wives homogeneous clicks. Balance is always good. Personally, I like riding the fence and taking everything–even anything I come up with–with a grain of salt. I do think it’s important to have a healthy dose of skepticism (or at least be well-versed in skeptic arguments), so I try to find a middle ground between belief and skepticism whenever possible. The most important thing anyone can learn to say is “I don’t know.” It’s always better to admit you’re not omniscient than to pretend to have answers which no one has uncovered yet. To ignore and discourage Spirituality while investigating spirits expresses an absurd and defeatist attitude. Religion is not your enemy, Ken. Ignorant religious people are your enemy. Intelligent application of spiritual knowledge, which has been developed over a period of thousands of years, is the only way to approach the Spirit World. Any other approach – technological devices – is downright silly. I never stated “religion is the enemy” anywhere in the article. But there is a definite difference between Spiritualism (a religion revolving around communication with spirits) and investigating hauntings. As I said in that section, “Believe whatever you want, but keep your beliefs out of actual investigating. It doesn’t belong there.” Because, to be perfectly blunt, it doesn’t belong there. Responsible investigating of unexplained anomalous experiences and/or hauntings should have no religious affiliation. The problem as I see it is that people tend to combine religion and the paranormal into an inseparable combination. That in itself is downright silly. If you want to commune with a higher power, ask ghosts for guidance, or venerate the dead, do so. We all have the personal freedom to believe in (or disbelieve) whatever we wish. But if you want to turn paranormal investigation into a modern Spiritualism, don’t do it. It’s not the same thing. To say that ghosts/spirits are religious experiences is to remove all critical thinking, scientific thought, and pursuit of knowledge from the equation. “It is because it is” becomes the universal answer. As someone who believes that asking why things happen is important, I just can’t buy that cop-out. When a bolt of lightning strikes the ground, I don’t blame it on Thor. (And I like to think very few people would.) The same applies to a ghostly experience. If I see a human-shaped shadow walk down a hallway or a glass flies off a table, I’m not going to turn the spot into a shrine; I’m going to ask “how did that happen” and look into it further. To not question things, seek answers, and search for explanations is beyond archaic. It flips off the past century of headway made in scientific fields and treats the paranormal as a religion, which it’s not. Treating unexplained things in a religious sense can help cause bad things to happen, like the Salem Witchcraft Trials. If you think that investigating supernatural occurrences will bring you closer to God then you are very wrong. In the Holy Bible (New Testament) it says to leave the dead to the dead. So if your argument is that you can only investigate the paranormal through religion you are confusing the paranormal/supernatural with a belief in the afterlife. They do not have anything to do with one another. The afterlife is a matter of faith, that which you believe and that cannot and will not ever be proven (until you die, of course) that’s what faith is, if you could prove it, everyone would believe and that defeats the purpose. In a true scientific investigation you have a reason for the investigation, i.e. there was a reported paranormal/supernatural occurrence. You then set out to research whether or not it is in fact, what has occurred. I am an Electrical Engineer and when you do an experiment you are not a skeptic or a believer. You are curious. Plain and simple. You set up an experiment based on a hypothesis and record the outcome. Not only once, but many times. I have participated in many experiments where the outcome is what was hypothesized in the beginning, but when the experiment was repeated the results were not the same and after several more runs, never reached the conclusion of the hypothesis and duplicated our first results. Spook chasers will always find something spooky, skeptics will always find an explanation for the event no matter how unlikely or absurd it may be and stick with it. A scientist will set up an experiment, record the results, and repeat until they have gathered enough data for the experiment that they can draw the conclusion that they have proved or disproved the original goal of the experiment. I watch just about every paranormal, ghost stalking, cryptid, and UFO show that is, supposedly real. I find that they are hilarious and by far more entertaining than most sitcoms, though I am positive that they are not intended to be. Every bump, creak, groan, or droplet of water becomes solid evidence that the building, woods, ect. is haunted. I have spent the majority of my life in wilderness and urban exploration. There are plenty of sounds, smells, ect. that are seemingly mysterious to the inexperienced individual. The house that I grew up in is about 500 yards from not one but two cemeteries that date back to the late 1800’s and I have actually spent the night there or passed through there many times at night, at all hours, and probably every day of the year at least once for many years and have witnessed no concrete evidence of any activity that could not be explained with a normal, everyday explanation. That being said, I did on occasion hear or see things that spooked me, but that is not proof of anything except that humans are programmed to be afraid of the unknown. It is a defense mechanism that has allowed our species to survive. If these investigators would take an experienced urban explorer or wilderness guide with them on their investigations then they would know what the noises were. If your guide gets spooked then it is time to pay attention. Spiritualism is/was not a religion. It was a movement of con-artists that preyed upon affluent individuals who wanted to know if there was an afterlife, because they were afraid of the unknown. I see that they use much of the same equipment that engineers and scientists use, except the ovilus, which was a toy that they picked up for some reason. However I seriously doubt from my observation that they have had any formal training in using the instruments properly. EMF does not mean anything unless you know exactly what is in the area and exactly what emf those things produce. Thermometers measure the temperature variations, but unless you have investigated every aspect of the area and recorded thermal data for an extended period of time it is also meaningless. The EVP’s they record could have been picked up from anywhere up to and including radio and television (after all people have picked up radio frequencies through the fillings in their teeth). Photos and video are easily doctored and very easily misinterpreted as paranormal. More than once I have heard someone use the phrase “Ghosts are energy and energy never dies.” There are only a very few types of energy: Kinetic, Potential, Thermal, Chemical, Electrical, Electrochemical, Electromagnetic, Sound, and Nuclear. Notice that their is no human energy, spiritual energy, ghostly energy, ect.. Energy never goes away, it just changes form, and in the end most is changed to heat and is dissipated thought the atmosphere and eventually space. These television shows are there for one purpose to sell ad space and they do that quite well. You cannot become doctor from watching House, M.D. or a ghost hunter from watching Ghost Hunters. It is informative to watch so that you can learn to pick-up on cons and slight of hand and to analyze the motives of individuals and groups of individuals. Case in point the Haunted Collector. He almost always finds the haunted item and the item is almost always an antique of some type. He then takes the antique to an expert in order to learn the history of the item (and the value I am sure). Then he give the people the option to allow him to take the item and place it in his “museum” (which is in his basement, I believe) in order to be protectively secured behind a clear plastic case, because, as we all know, that a spirit that has traveled between the world of the living and the dead cannot penetrate the mystical energy properties of mankind’s greatest defense against the supernatural: Plastic. RE: Your article on “State of the Supernatural: A Call to Restore Sanity”. I am in my fifties and have read every book ever written on the paranormal. I started reading about the subject when I was around ten years old; I read until the stories and theories became redundant. I have read Hans Holzer, Sir Arthur Conon Doyle, Arthur Ford, et al. The television ghost hunters are such a silly joke. I do not understand why people still insist on mixing religion, superstition and pseudo-science to investigate paranormal activity. For many of us, Holzer was the first authority we encountered with the paranormal… mainly because he was so prominent and published. Back in those days, if you wanted paranormal television, you turned to Arthur C. Clarke or Leonard Nimoy. I may not be quite as old as you, but I remember when you had to avoid mentioning ghost hunting in high school because it meant you were far more weird than they thought. My book collection is looking rather sad, but I still have the first book I ever bought: the paperback ESP, Hauntings, and Poltergeists by Loyd Auerbach. I’ve sold off and lost a good number over the years, but I’ll build it back up one day. (This will probably guarantee I never end up on television, but) I think networks kill any resemblance to reality by hyping things up, faking things, and hacking reels up for the sake of “telling a dramatic story.” Like with anything in life, you can’t learn from a television. Real life experience teaches you things no actor ever could. Sadly, I think we’ve become a society more keen on watching the latest fad television shows and talking through a computer instead of living an adventurous life and dealing with other people face to face. Excellent article. Right on with every point. I love watching the t.v. programs on the paranormal, even with the possibility of fraud and the relentless self promotion and chest thumping. I’ll be 49 in April, and I’ve been reading ghost stories and any book I could find on the paranormal since I was in 3rd grade. Now, I’m disabled, I don’t get out much and the chances that I will ever be able to participate in ghost hunting is pretty much nil. The shows give me the chance to feel like I’m part of it, in a very small and insignificant way. Hey, that doesn’t stop the fans of football, American Idol or Big Brother. I should mention that I am college educated, a mom to 3 and grandma to 3, married for 30 years. And honestly, I’m not really any one’s sucker, except my grandkids. I’ve had my own experiences with ghosts and while I’m a believer who isn’t afraid to admit I believe, I’m also not afraid to say when I think someone or something is full ofchit. I love the shows and I hope they are on for many more years yet. And, as far as the in-fighting and bickering and petty tiffs, I could put you in a room full of PhD.s discussing any field of legitimate intellectual inquiry and you’d see exactly the same dynamics there. Ain’t nothin’ new and it has more to do with ego than fact/fiction.